Washington State’s Governor recently announced an executive order enabling the testing of fully self-driving vehicles in the state without a driver in the car. He mentioned a number of benefits including eliminating accidents. One important benefit of self-driving cars he mentioned in the order is enabling those who can’t drive to go places on their own. Self-driving cars are a hot topic in the disability community because of this. There have been numerous discussions on the issue including a report by the National Council on Disability. The good news is there is a company that has been serious about the benefits of self-driving cars for people with disabilities. Google’s self-driving spinoff company WayMo was the first to drive a blind person in a fully self-driving vehicle with no safety driver on public roads. It has been pushing for complete autonomy both to reduce accidents and make point-to-point travel more accessible. I think one of the most exciting possibilities with self-driving cars is the potential to make point-to-point travel inexpensive for everyone. For example, Uber has offered at times flat rate rides for $3.50 anywhere in the city limits of Seattle. Without a human driver maybe they could afford to offer that price all the time. If done right self-driving vans could replace the inconvenient aspects of Metro Access. Another benefit is the more fully self-driving vehicles we get on the roads, the less injury accidents we’ll have – in theory. While many people with disabilities are able to get special training and equipment, there are many who are not able to drive period. It can cost two thousand or more for specialized training, and that doesn’t even include the cost of the equipment for your car. Also, there are some disabilities such as blindness, where there are no assistive devices allowing them to drive. On the other side of the debate, some people with disabilities are concerned that self-driving would eliminate manual driving assistive tech such as hand or head controls. The executive order may make the state a popular place for companies to do autonomous driving tests because it is very permissive. It appears to allow testing with members of the public even for a fee. A safety driver doesn’t have to be in the vehicle, it also doesn’t appear to require data to be disclosed. This is significant because there are states like California that require it, and some companies don’t want the information disclosed. The no driver required piece is especially important for bringing to market vehicles, one can buy that wouldn’t require a driver’s license and for self-driving ride hailing services. Google/WayMo picks up members of the public in Phoenix, and Uber does too in Pittsburgh. Hopefully these companies start picking up members of the public in Washington. 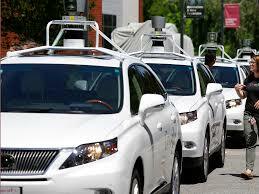 I worry though that companies testing these vehicles won’t prioritize ensuring all people can use them. For example Google/WayMo uses vans. However, I haven’t seen any news that they have outfitted a single van for picking up wheelchair user in their Arizona testing program with members of the public. Recommendations by the National Council on Disability include requiring government funded researchers to make their systems accessible and for congress to mandate self-driving vehicles be accessible. The State of Washington should mandate accessibility for self-driving tests. It may just be a few years before fully self-driving vehicles with no safety driver are picking people up. When officially launched, these vehicles need to be accessible for all. In the meantime, we need to be advocating to both government and companies that testing include people who can’t drive, and people who require accommodations to equally access transportation.